In today’s tech-driven world, it’s undeniable that the number of worldwide mobile users is constantly on the rise. Nearly everyone owns and uses a smartphone for both personal and business purposes. This is also why brands continue to develop mobile marketing tools and strategies to stay relevant and to connect with global mobile users. Innovation is key, regardless of your industry or the size of your business. It’s a great idea to try new tools if you wish to level up and find more success with your mobile marketing efforts. To help you get started, here are some mobile marketing tools you should keep an eye for next year. AdMob by Google may have already been on the market for some time now, but its upgraded look and features make it a promising tool for your mobile marketing needs. This tool allows you to reach a larger audience and monetize your ads more intuitively. It displays ads from millions of Google advertisers, features engaging videos and free analytics and includes free templates for your native ads. With AdMob, you’ll have the proper tools to boost your promotion and improve your visibility next year. 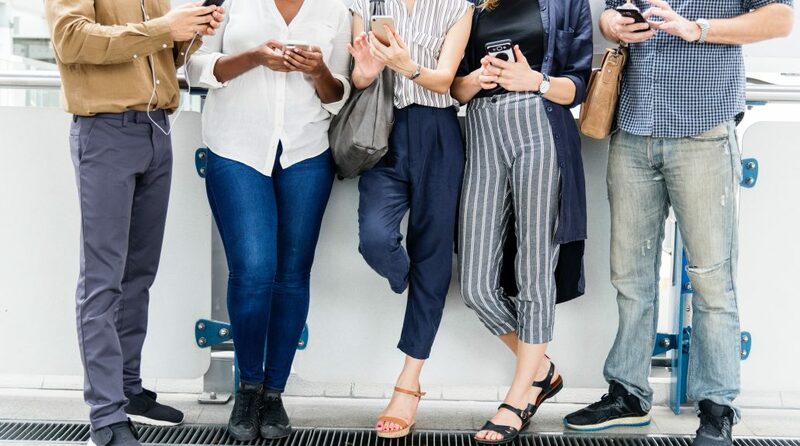 Nowadays, consumers prefer to use multiple channels to connect with brands and avail themselves of products and services. This is why multi-channel marketing can be beneficial for your business. With Facebook’s innovative mobile-first video creation tools, you’ll hit three birds with one stone – mobile, social media and video. You can utilize it to build creative and effective mobile video ads and provide your customers with a streamlined content consumption experience. This kit is loaded with templates and other features that you can optimize to promote and sell your products, demonstrate product benefits and more. If you have a blog and seek a mobile-friendly tool that can help you maximize your content marketing strategy, Medium could be just the thing you’re looking for. Created by Twitter co-founder Evan Williams, this website/app allows you to create and edit posts on the go. You can also repost content from your website’s blog as well as read and react to other bloggers’ posts just by using your smartphone. Provide a seamless browsing experience to your customers with the help of BrowserStack. This platform works to perform automated and live cross-browser testing on various Android and iOS mobile devices and desktop computers. If you’re looking to launch a new website or mobile app with a responsive and user-friendly design in 2019, this tool might come in handy for you. WordStream has updated its AdWords Performance Grader with new features that are mostly mobile-focused. With the constant and rapid growth of mobile traffic, it’s not only important that you pay attention to mobile advertising; you should also monitor your AdWords accounts and PPC best practices, including sitelinks and mobile-optimized text ads, and make sure they’re performing optimally. AdWords Performance Grader will grant you access to the tools and reports that will allow you to see how you measure up. Work more efficiently and improve your overall productivity with the help of mobile time and project management app Trello. This tool lets you complete collaborative work in a flexible way. Use it to organize and prioritize your projects, track your team members’ progress, check the status of an initiative and more. You can even receive notifications such as updates and reminders on your mobile device so you can continue to manage your projects on the go. Mobile marketing is an essential strategy for businesses nowadays. Its success relies not only on the quality of your marketing plan but also on the tools you use to implement it. Consider one or more of the mobile marketing tools mentioned above and you’ll put yourself on the right track to achieve the best results. Myan Barredo is copywriter for Pepper Virtual Assistants. She writes about productivity, digital marketing, and the virtual assistance industry. Pepper is a business solutions firm that specializes on virtual administrative and personal assistance, online marketing, customer support, and copywriting. They are known for reliability through their managed services, responsive client handling backed by extensive training, and rockstar virtual assistants hired for their skills and expertise. Previous Article Previous post: Does Blockchain Have Any B2C Applications?